Coriander is used in the home. It looks normal leaf. This increase taste of the food. It is extremely beneficial to have coriander. Coriander contains protein, fat, fiber, carbohydrate, minerals, calcium, phosphorus, iron, carotene, thiamin, potassium and vitamin C. This improves digestion. 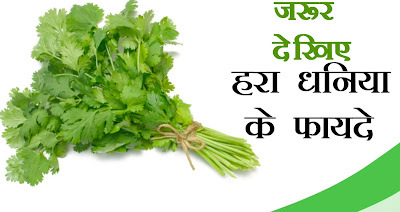 Coriander is beneficial in typhoid. Pimples: Coriander is very beneficial for beauty. Mix coriander juice in turmeric and apply it on pimples. This removes pimples. The mixture of raw milk with coriander avoids dryness. It is also good cleanser. Skin: Coriander is extremely beneficial for inflammation, dryness and fungal infection of skin. Coriander has detoxify, anti-septic, anti-fungal and anti-oxidant property. This improves skin. Cholesterol: Coriander has such acid like linoleic acid, oleic acid, palmic acid, stearic acid and ascorbic acid (vitamin C) are very effective in reducing cholesterol levels in the blood. They also reduce the levels of bad cholesterol (LDL) deposits. Diarrhea: Some components of essential oils found in coriander, such as boronol and ellinol, help in digestion. By working with the right pace of heart and folding the intestines, it fixes the diarrhea. Period: Women can use mixture of coriander water with sugar in menstrual time. This reduces blood and stomachache. Coriander increase the hunger. Blood Pressure: Coriander is very beneficial for high blood pressure patient. 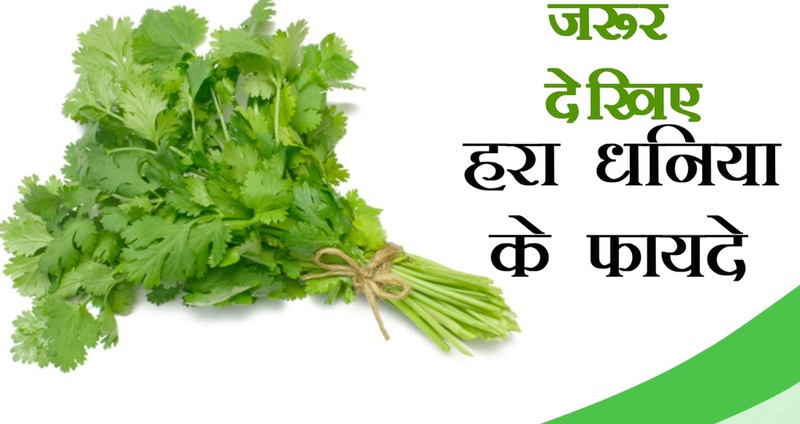 Coriander is beneficial to cure blood pressure in positive way. Anemia: Coriander has high amount of iron. This is beneficial for anemia patient. The lack of iron creates breath, heartbeat, fatigue and cognitive functions. Coriander gives energy and power.